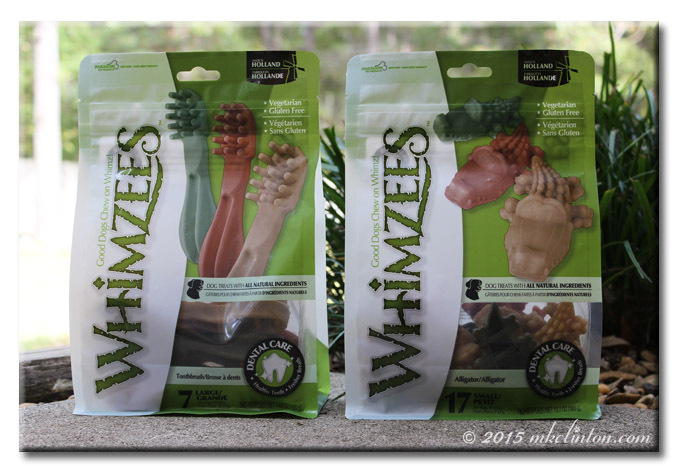 We received two bags of Whimzees in exchange for an honest review. All of the opinions are our own and Barking from the Bayou/mkclinton.com will only share products or services that we use and believe will benefit our readers. Whimzees is not responsible for the content of this post. I totally love it... but I'm always not sure, if I should pick the tooth brushes, the gators or the hedgehogs... what do you think? Pawsome, saves me waiting fur Mum, I can clean my own teefs now! Enjoying one of these definitely looks like more fun than having your teeth brushed! These are so good, and good for the chompers, but they are kind of expensive for three of us since we need larger ones. The cost is the only reason we don't have them very often. Yes, my huskies love these! 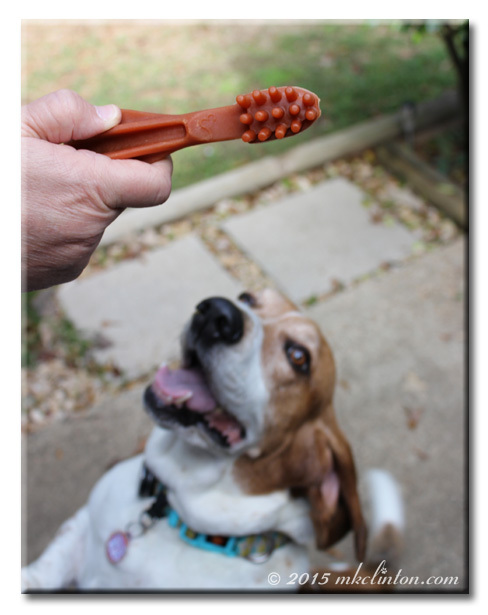 I have always wondered about tooth brushing treats. Since Cocoa's tummy is so sensitive I worry about giving her too many extras but love when you all do reviews because we get your opinion :) I will look for these next time I am at PetSmart. Oh boys, you know I love the alligator Whimzees! They are perfect for southern dogs like us. They sure do keep our teeth clean too. Adorable photos! We're working on our review of these as well. What a fun way to get your teeth brushed. Looks yummy too. Have a great day.. I love Whimzees! Mom and Dad got me some the toothbrush ones and I LOVE THEM!!! 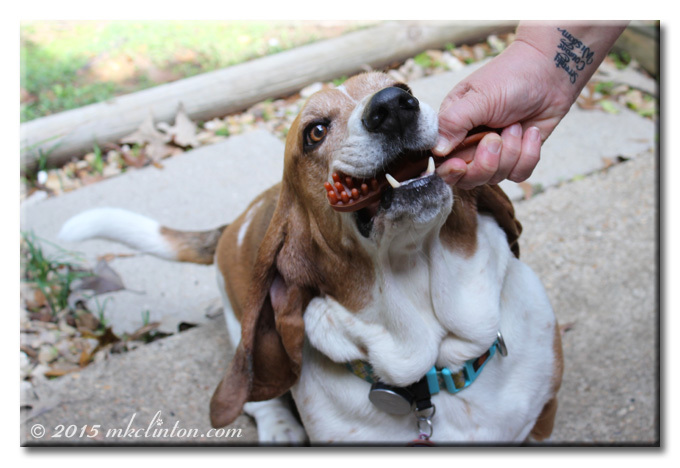 I love to chew and these satisfy my chewing needs while helping keep my teeth healthy! Earl loves these! Ethel's never tried one before! Must try these. Had not heard of them. We had some of those once and loved them! Oh my! 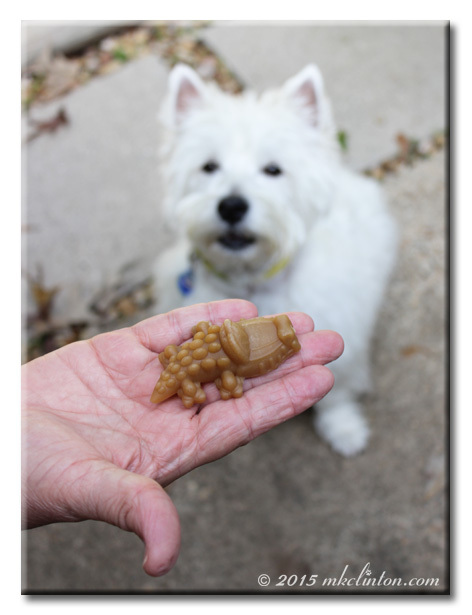 Alligator chews! Too cute!! OMD, those are FABulous!!! AND low in calories???? Oh, i GOTS to get me some of these!!! Chloe loves them, but LadyBug doesn't. I guess it is a taste thing! The alligators are cute though!! I'm dying to try Whimzies, I love the shaped of them and I can see how the little nubbies can benefit teeth! We just got the long sticks at work this week. Cool product.